nose:warm and sweet, traces of vanilla, hint of sugar, touch of honey did not sense any peat. complexity:one of the most complex and full bodied scotches i've had so far. rich in texture and elegance wrapped up in a sweet expression of mischief and delight. finish:soothing amount of spice with a dash of smoke and pictures of red sierra mountains off in the distance over the horizon as the sun wishes you a pleasant evening with a wink and smile. there is no doubt this is my favorite scotch. 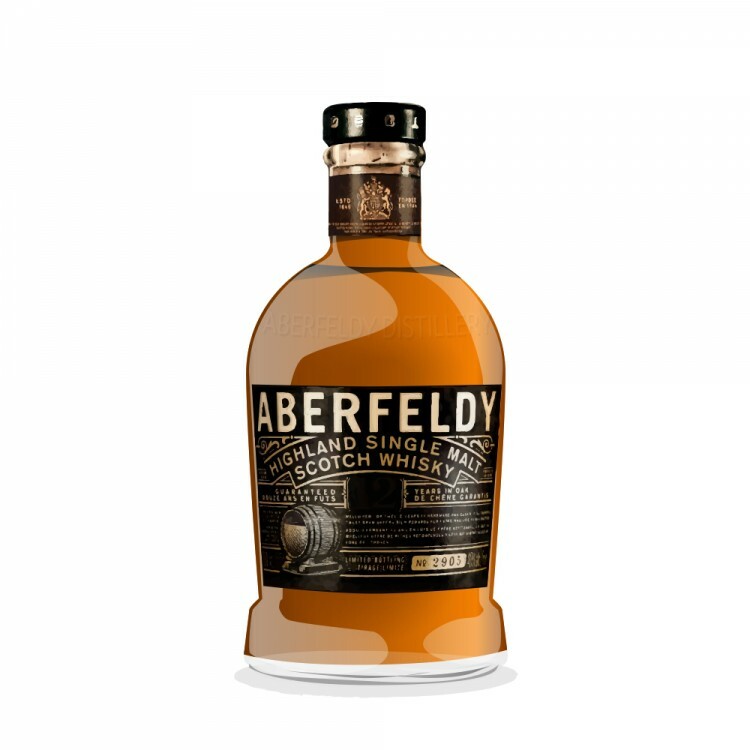 this exlir is tamed by the sweetness of the sherry but allowed to florish and sooth your soul with hints of vanilla, citrus, peppers and a touch of smoke. enjoy with a bold cigar but hold the water. Aberfeldy 21 Year Old What difference a year makes? Wow...you make the Aberfeldy 21 sound delicious and perfect for summer. I can't wait to open mine now!